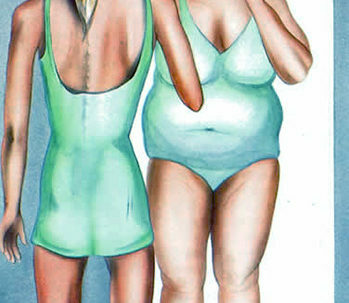 Body Dysmorphia Affects around 1.7-2.4% of the population. Any personal trainer that has trained hundreds to thousands of clients, has definitely trained a few with BDD. More than likely without even knowing. One of the biggest frustrations for those dealing with BDD, (including trainers) is that no end goal ever is sufficient. Progression and statically defined goals such as reaching a certain weight, body-fat %, lean body mass %, waist size, or reaching a new personal record in the gym may be achievable. But the internal self-criticism often remains, never feeling satisfied or content. It doesn’t have to be this way. Especially when you realize other’s do not see what you “see”. You must learn to accept and embrace the body you were born with. I speak from experience when I say your role as a trainer shifts to a more supportive, guiding one vs. simply providing a rigid, strict routine, with a game plan. The mental, motivational, and psychological factors typically present the biggest obstacles for those with BDD. Not the body below the neck. In contrast, issues like cheating on the diet, missing workouts, or cardio sessions, may be more common obstacles trainers experience with clients. Body Dysmorphia isn’t just an “internal” problem. In the age of social media, with photoshop, endless selfies, and, Instagram filters. People are seeing now more than ever, an inaccurate representation of their peers. Presenting a touched up “best self” version, creating a persona with a cloudy reference point, a benchmark too unrealistic to maintain. Comparing yourself to others online, esp. if you suffer from BDD, is about as psychologically “unhealthy” of a practice, as weighing yourself throughout the day, while suffering from anorexia. It is important to remember that BDD is an internal perception, not a reality. I probably wouldn’t have the same volume of clients I’ve had, if people didn’t constantly compare themselves to others. I’ll admit this, it’s human nature to make comparisons. I encourage my clients and competitors from bodybuilders, physique, to bikini, to only compete against themselves. Compare yourself, to yourself, and no one else when setting goals. You cannot control who else shows up on stage any given day. You cannot control your own, or other’s genetics, muscular / bone structure, metabolism, or unique physical traits. There will always someone “better” at something, just around the corner. Focus on what you have control over, accept who you are, and compete only against yourself when setting realistic goals. (Even goals that have nothing to do with physicality or fitness) I don’t care if you go from placing 1st to 10th between 2 competitions. If you presented a healthier, leaner, more muscular defined, and happier version of yourself compared to last time, that is a win, take it. You will always be your own biggest competitor.